GUELPH, ON (March 15, 2010) – Grain Farmers from across Ontario gathered in London Ontario on March 8th and 9th for the inaugural conference of the Grain Farmers of Ontario (GFO). Farmers met to discuss mutual issues of importance, debate policy resolutions and hear from keynote speakers on topics related to the future of farming. For the immediate future, the direction from delegates through 4 separate resolutions, is to pursue a permanent, fully funded Risk Management Program in Ontario supported by both levels of government. The Ontario Minister of Agriculture, Carol Mitchell, spoke at the banquet Monday night supporting our endeavors by recognizing the current suite of business risk management are not meeting the needs of producers and that she is carrying that message to her colleagues at the provincial Cabinet table and has carried it to the federal Minister of Agriculture on behalf of Ontario farmers. The urgency for stability in the agricultural sector through programs like the RMP was underscored when keynote speakers Diane Francis, Editor-at-Large for the National Post and Jay Ingram, Host of Discovery Channel’s Daily Planet, forecasted uncertainty ahead both for the world economy and the environment. Cal Whewell, financial expert for FC Stone also has concerns about the future including commodity prices and the Canadian dollar. When asked about the Canadian dollar Cal advised, “if you’re in the camp of $85 plus or $100 crude oil then you probably better prepare yourself for a par Canadian dollar”. 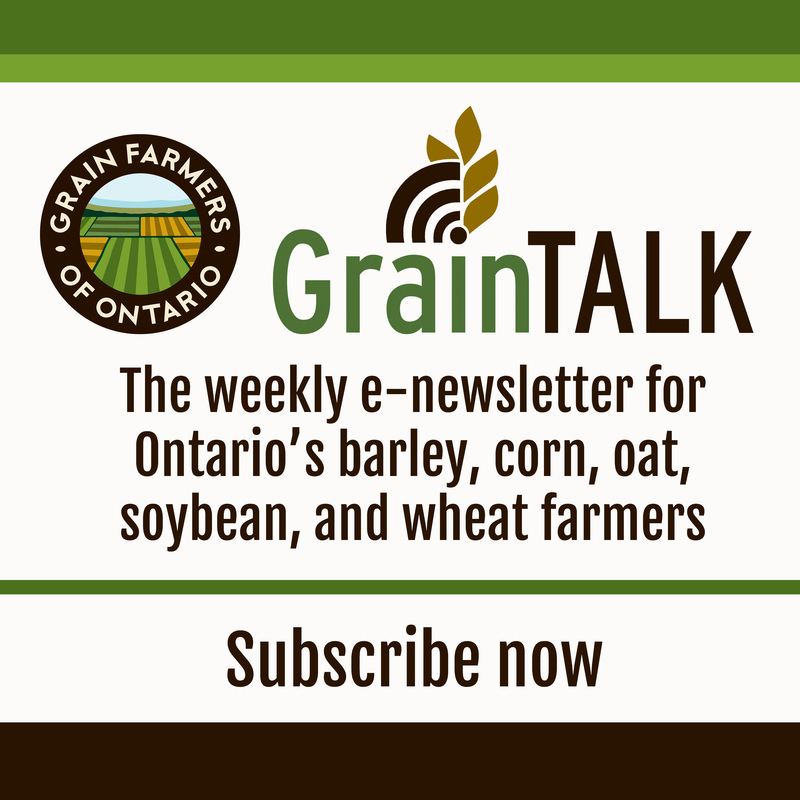 Despite the broad challenges identified for the year ahead, Grain Farmers of Ontario is excited about the opportunities for farmers especially in the areas of research and market development. Barry Senft outlined some of GFO’s plans for 2010 including an investment of over $3.6 million in grain research through industry, government and farm partnerships and recent collaborations with industry to expand the domestic market opportunities for ethanol, wheat and soy-based bio-products. All of the information from the conference including speaker presentations and resolutions are available on our website at www.gfo.ca and click on March Conference under Events.